Hernia repair is one of the most common operations performed in the United States, with over half a million surgeries done each year. Hernias occur when a portion of an internal organ or tissue protrudes through the muscle surrounding it as a result of increased pressure within the abdominal cavity. Although there are different types of hernias, the most common hernias are abdominal hernias. Unfortunately, individuals with a family history of hernias are at a greater risk of developing a them, which can not be influenced. 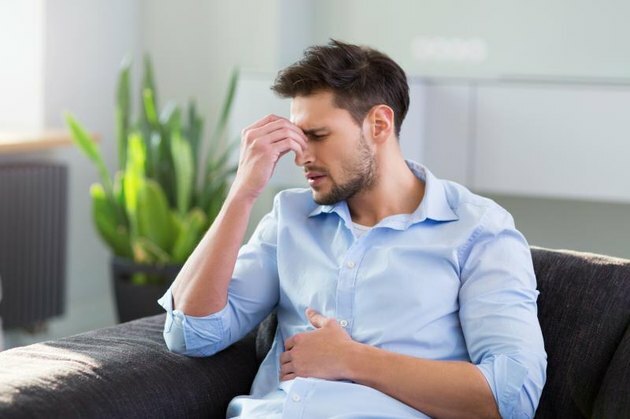 Fortunately, other risk factors include being overweight, poor nutrition and weakness of the abdominal muscles, which can all be addressed in order to help prevent the chance of a hernia occurring. Progressive strengthening of the core musculature helps to increase the resilience of the structures surrounding the internal organs and tissues. This in combination with strengthening other muscles such as the hips, helps to increase the threshold of the abdominal wall, as well as reduce the overall stress placed upon it. To properly strengthen the muscles of the core, exercises can progress from static strength to more dynamic movements. HOW TO DO THEM: From your forearms and toes, engage the core, imagining pulling your zipper up towards the ribcage. This helps to prevent lumbar extension and utilizes the obliques as well as the rest of the core musculature. Focus on pushing the ground away with the elbows while keeping your upper back flat. Hold this position for 30 seconds making sure to stay as long as possible from the heels to the top of the head all while keeping the hips from sagging and low back from arching. HOW TO DO THEM: From a side lying position with one forearm on the ground, the elbow directly beneath the shoulders and the legs straight with the feet stacked on top of each other, bridge your hips up towards the ceiling. Stop when there is a straight line from the shoulders to the feet. Keep the abs engaged, imagining pulling the zipper up towards your ribcage. Focus on not allowing the hips to roll backwards as this will engage the back muscles more so than the abdominal muscles. Hold this position for 20 to 30 seconds before repeating on the other side. The abwheel rollout challenges your ability to keep your hips and spine in a strong, neutral alignment while the body is moving. This ability to stabilize during movement is key to preventing improper technique that can increase the likeliness of a hernia. HOW TO DO IT: From your knees, grab the handles of an ab wheel. Keep the core engaged as if you were to pull your zipper up towards the rib cage. Roll the wheel away from your body allowing your hips to go with you, but maintaining a straight line from the knees to your shoulders. Focusing on squeezing your glutes will help to solidify the neutral position. Do not allow the low back to arch or hips to sag towards the ground. Reverse direction and pull yourself back to the starting position. Move slowly and deliberately the first time you try this exercise, as it's harder than it looks. Do not roll too far out, stopping at the range where you feel form may break if you go any further. You can also start this exercise using a stability ball instead of the ab wheel as the height of the ball reduces the intensity a bit. To decrease the pressure on the abdominal wall, not only is it imperative to exercise with proper technique, but it is essential to utilize the hips to complete many tasks. Using and strengthening the hips will help to reduce the demand on the core musculature. HOW TO DO IT: Lying on your back in a supine position, bend the knees so the heels are roughly 3 to 4 inches from the hips. Keep your hands to the side of the body, as you engage your core -- focus on pulling the zipper up towards the rib cage. Keep the feet flat as you squeeze your glutes -- or your buttocks -- and push through your heels to bridge the hips towards the ceiling. Keep the core engaged so the hips do not tip forward as you keep the low back from arching. Hold the top position for a 2 to 3 second count, squeezing the glutes hard. Reverse directions still maintaining a good hip position via core engagement. When this exercise becomes easy, you can elevate your shoulders on a bench or perform the exercise with one leg at a time. 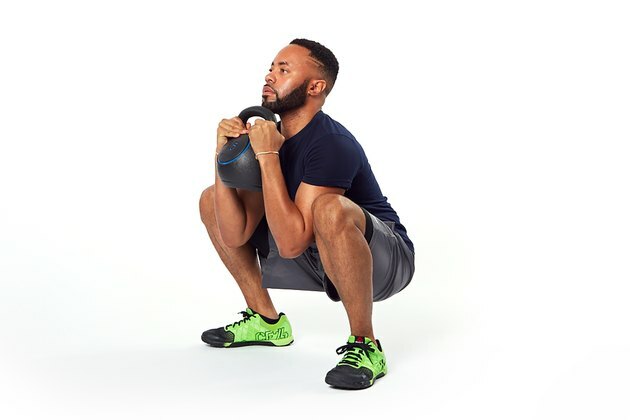 HOW TO DO IT: Holding a dumbbell or kettlebell in a goblet grip position (close to the body and underneath the chin,) keep your core engaged as if you were to pull your zipper up towards your rib cage. Take a slightly wider-than-hip-width stance and turn your toes out slightly. Keep the weight in your heels as you push the hips back and down. To help activate the glutes and hips more, imagine trying to rip the floor beneath your feet apart. Keep your back flat and sit to roughly 90 degrees; you can go lower if you can maintain form. Drive through the heels and push the floor away as you return to the starting position. Squeeze the glutes hard at the top before repeating. 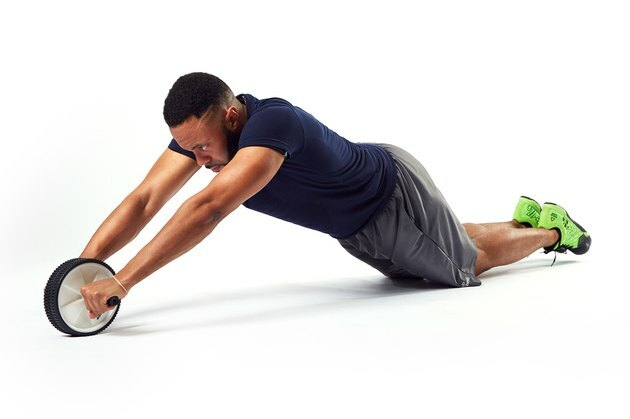 HOW TO DO IT: Holding a dumbbell or kettlebell in a goblet grip position, engage the core by focusing on pulling your zipper up towards your rib cage. Take a step out the side, bending the knee of the leg you are stepping into. Keep the majority of the weight in the heel of the foot you are stepping into as you push your hips backwards and keep the other leg straight. Finish when the stepping leg is roughly 90 degrees at the knee and hip, keeping the toes, knees and hips straight forward. Push yourself back to the starting position. Complete all reps on one side before switching to the other leg as this allows more consistent tension on one leg at a time. Throughout the entire movement keep the back flat and focus on feeling the work take place in the glute and hips of the leg that is stepping to the side as well as the core and upper back.